Qualities of a Local Trucking Insurance Provider? 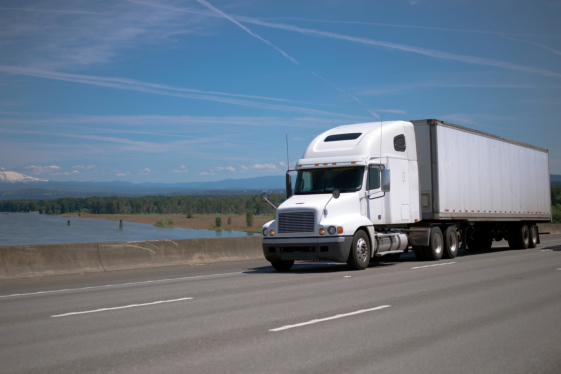 If you are in the trucking and trailer industry, you are well aware of the many potential dangers and incidents that would involve your trucks, trailers, and the goods they are carrying. Your trucks are on the road every day and—in many cases—around the clock, and since you would never know what could happen on the road, it is important to have your mechanical movers insured. Commercial trucking insurance is more than just a product, it is an ongoing business relationship between you and your insurance company. Therefore, it is essential to find a company you can trust and has the experience, financial strength, and claims expertise to get you back out on the road again. After all, in the ever-growing, high-speed world of commercial trucking, being out of service for even hours can have a serious impact on your business. First and foremost, you should consider the insurance company’s breadth of knowledge and experience in the specific sector you are operating in. Are you primarily a short-haul or local services provider, or do you provide larger, inter-state hauling services? Whatever you specialize in, it is essential for the insurance provider to have knowledge and even experience in your field, in order to efficiently cater to your needs and queries, and provide you with the best service. Of course, it is important to know if the company has sufficient financial reserves to cover many expensive claims that could arise at any given moment. Who are the owners or stakeholders of the company? Were there any complaints or lawsuits with regards to reimbursement or coverage issues that the company is facing? These are questions you need to ask the insurance company or research on your own before settling to get a policy. This is where you’ll need to dig down into the coverage offered by the various policies of the insurance company, and discuss what can be used as-is and what you want to have adapted or customized to your needs. It is essential that your insurance provider know all the details of your business and be up-to-date with all of the regulatory issues that affect you so they can offer you the plans and policies that best suit you. This is what determines and separates an average insurance provider from an outstanding or excellent one. A good trucking insurance company should have the industry and equipment knowledge to efficiently and correctly process your claim in the shortest time possible. Rapid Document Insurance Agency is a truck insurance agency in Downey CA that provides a range of plans and policies which we can help you choose from to suit your needs and budget. From basic truck physical damage insurance to more comprehensive policies with a larger coverage, we are the insurance partner you can trust. This entry was posted in Insurance Provider and tagged Financial Strength, Incidents, Insurance Company, Trucking Insurance. Bookmark the permalink.